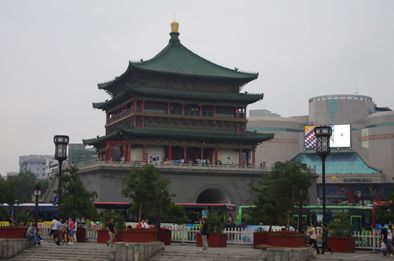 Monday 5th September – Beijing. 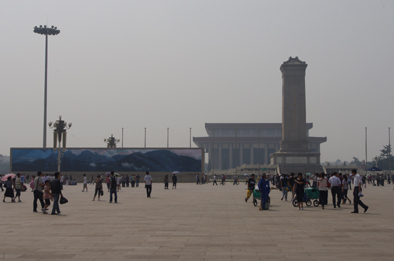 This day started with a visit to Tian an Men Square, the largest public square in the world and one of the most famous. 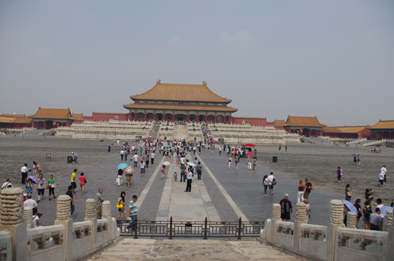 It is bordered by the Qiamen Gate, the Great Hall of the People and the Gate of Heavenly Peace which forms the entrance to the Forbidden City, the domain of the last emperors of China. We returned to an our hotel after lunch. 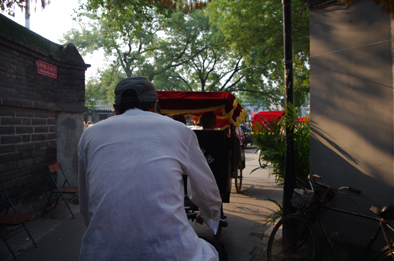 Then rested the rest of the day until dinner after which we whiled away the evening at one of the hotel bars. 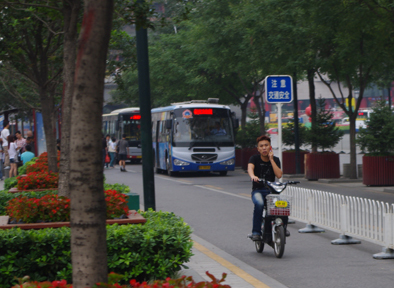 Chinese Motorcyclist multitasking, a practice forbidden in the UK. 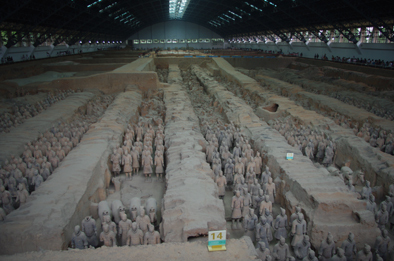 Looked forward to this being one of the highlights of our trip, a visit to see the renowned Terracotta Warriors and it did not disappoint. 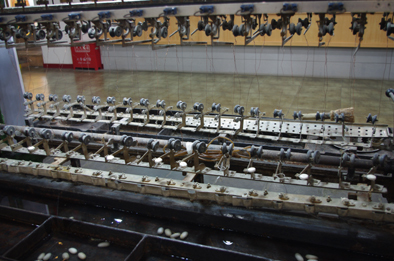 First we were guided round a clay modelling factory and were shown how it was thought the warriors were moulded. Then we went to Li Shan Mountain to see the famed army itself. We spent the morning in the museum learning about the magnificent relics on display. The solders were not found until 1974 and the farmer, who found them and was now over 80 years old, was in the lobby signing copies of the guide book one of which is now in my possession. Clay horses, chariots, bonze horses with chariots and actual weapons were found with the warriors and also exhibited for us to see. 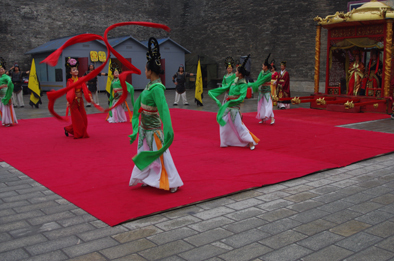 That afternoon we went to the city wall, saw the bell and drum towers and were treated to a traditional welcome ceremony where each of us were presented with a golden key. 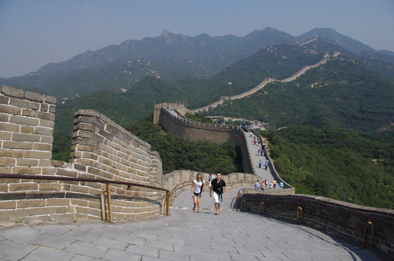 Heavy rain drove us from the wall and when we left for the airport late that afternoon our flight was delayed by two hours so that we did not arrive at Beijing, the final destination of our journey until one am. It is now 3 am and I have been frantically trying to get this blog together so I can post it online later this morning. I hope there are not too many typos as I am extremely tired. And so to bed. 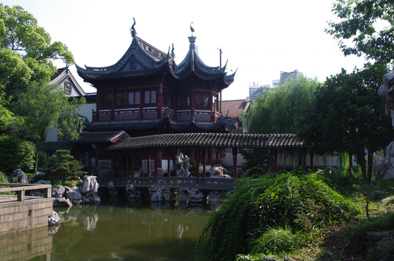 Got up early at 4.30 local time but were still jet lagged so it did not really matter then caught a two hour flight to Xian, the City of Eternal Peace, once the flourishing capital of China and the start of the old ‘Silk Road’. 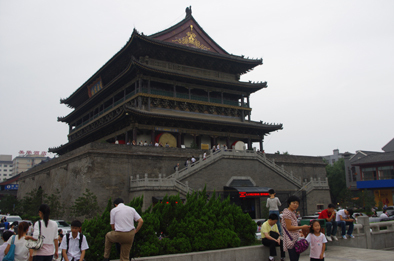 After lunch we visited the Shanxi Museum which to see artefacts dating from prehistoric times and China’s ancient dynasties. China pot found buried in ancient china village. 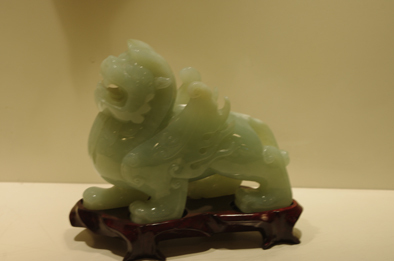 Later we visited a jade factory where ornaments and jewellery are carved out of this precious stone much sought after by the Chinese as a symbol of luck before continuing on to our hotel. 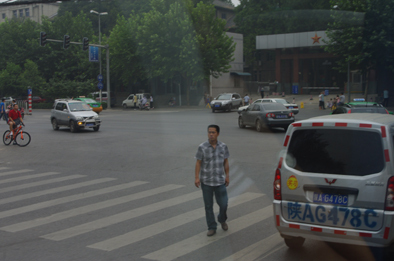 Crossing the road in Xian is an interesting experience and I am told is the same all over China. Zebra crossings serve only to signify pretty patterns in the road. 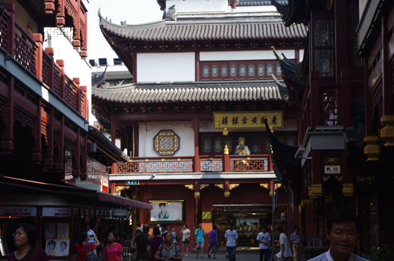 Days 1 and 2 were basically spent travelling, so Day 1 did not properly start until this Friday with a morning visit through the thronging shopping thoroughfare of Nanjing Road in the Old Town with its ancient Wu Xing Teahouse and classic Yu Yuan Gardens. 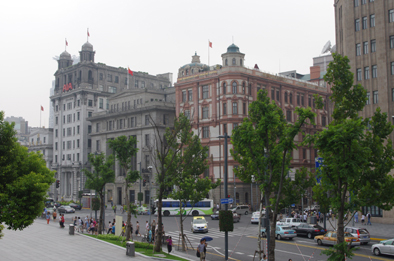 In the afternoon we promenaded along the bank of the Huangpu River adjacent to the Bund, which is the colonial heart of the city containing the hotels, banks and offices that were once the symbols of its commercial power. 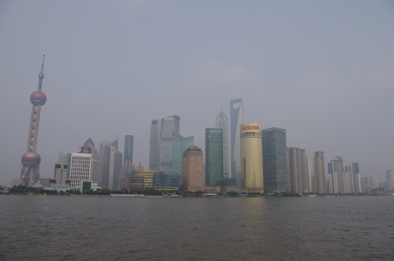 Across the river we beheld the skyline of modern Shanghai announcing itself as a new power on the world financial scene. 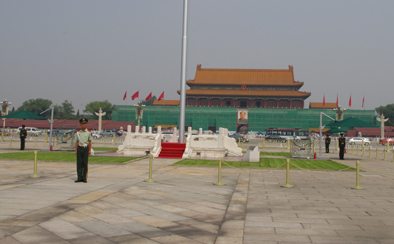 Its very presence screamed out a warning of China’s imminent arrival as a major economic power. In the evening we saw The Spectacular Shanghai Acrobats who performed astounding feats of juggling and contortion which was rounded off by a stunning display given by eight motorcyclists who combined to hurtle round the inside of a mesh dome at death defying speeds. Photography was prohibited which was just as well as I would have hated the thought of my camera flash being responsible for any mishap. You are currently browsing the Peatmore News blog archives for September, 2011.